Like real-life hurricanes, the Lamborghini Huracan family of supercars is awe-inspiring and extremely powerful. An exotic 5.2-liter V-10 mates to a seven-speed dual-clutch automatic. Horsepower ranges from 572 on rear-drive models and up to 631 on the track-ready, all-wheel-drive Performante. Dramatic styling drips from angular and aerodynamic exteriors to technical and luxurious cockpits. 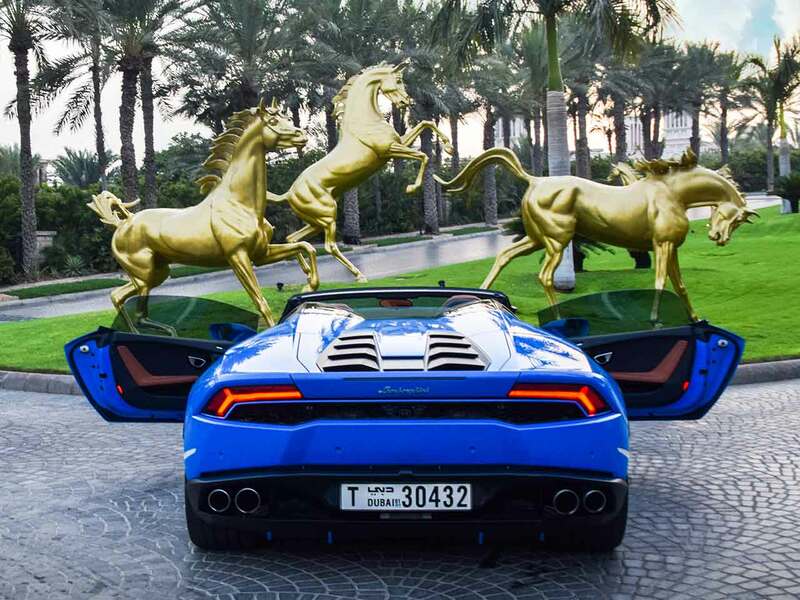 The Lamborghini Huracán is considered the follower to the Gallardo. However, its specs are more similar (if not better) to the Aventador – this car is the perfect mix. The Huracan is an exotic car with an everyday-usable appeal, and an unbelievable acceleration. An over-all amped-up performance, and a head turner to say the least… You won’t be disappointed. 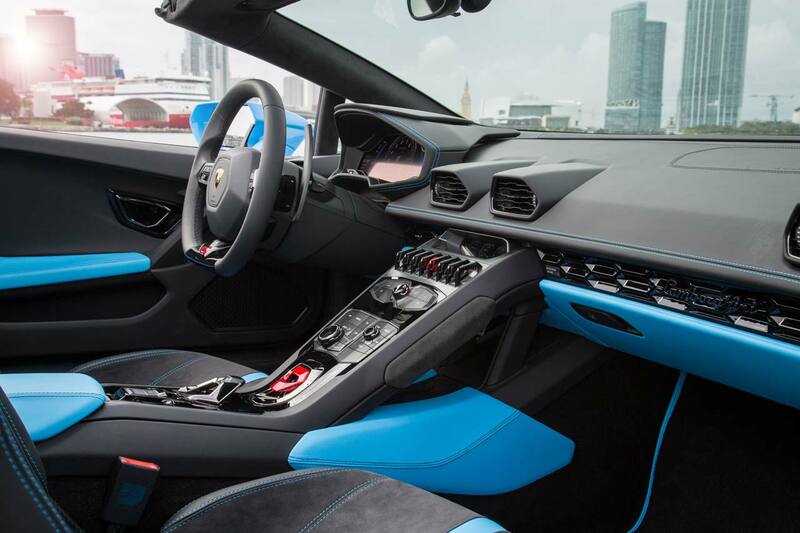 The all new Lamborghini Huracan Spyder. Experience the raw power and agility of the new Lamborghini Huracan. 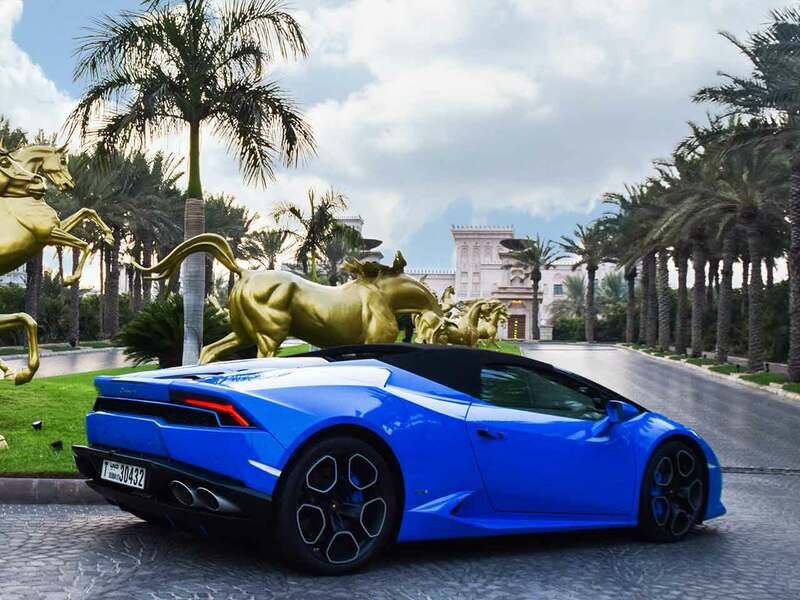 With its Electronically controlled all-wheel drive system and a 3.2-second 0-60 time, the Huracan Spyder will make all your convertible supercar fantasies come true. 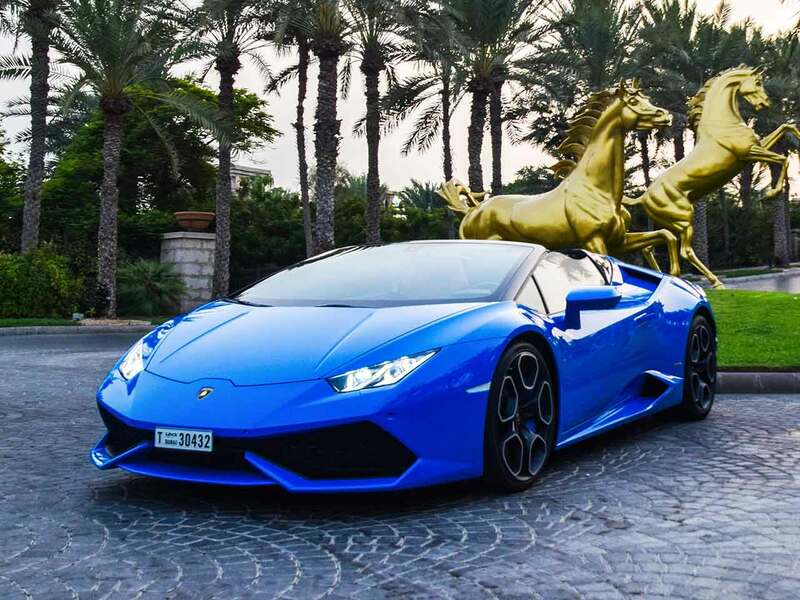 >Take it for a ride Live the dream and cruise in one of the most beautiful exotic cars on the market today. Experience what a modern super car is capable, listen to the 5.2-liter V10 engine roar, and cruise the city in impeccable style. Reserve it today! 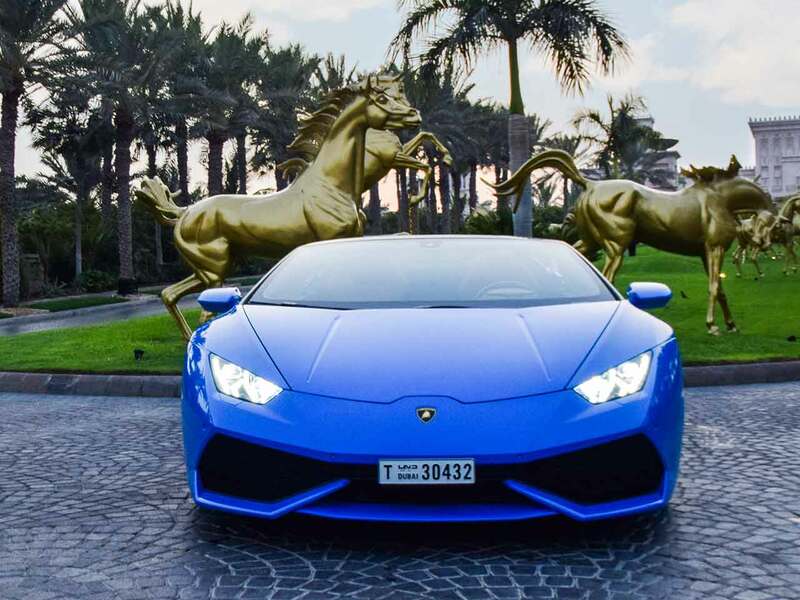 For Lamborghini Huracan Coupe rental in Dubai, we strive to provide the best service in the area. At Rotana Star , we have many years of experience in the hire car field. As a result, we can bring value for money and top-notch service – guaranteed. A key reason for this is because we own our entire fleet of vehicles. This means we have more flexibility on price, unlike our competitors, who often lease their cars on a long-term basis. 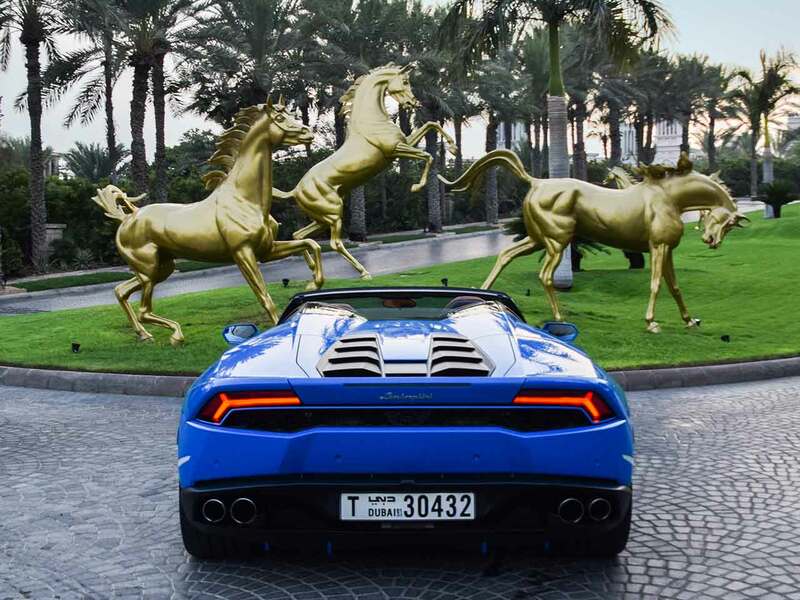 At Rotana Star, we make the process to hire a Lamborghini Huracan Spyder for rent easy. The first step is the browse our website to find a suitable price. After this, contact us by sending in a request via our online form or by telephone. We aim to get back in touch soon after to finalize the deal. When the time comes to deliver the car, we offer two options: either pick-up the car from our Dubai showroom or take advantage of our popular door-to-door delivery service. 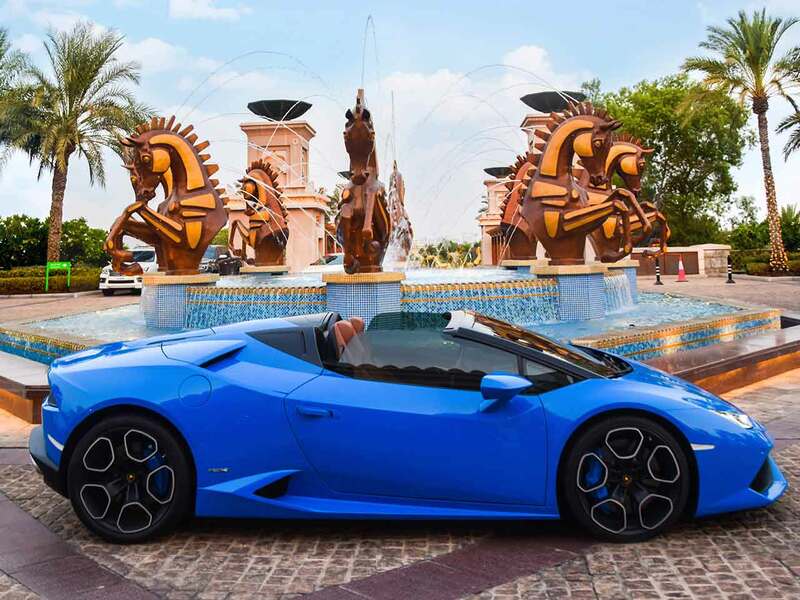 Our premium car rental services allow you the chance to rent a Lamborghini Huracan Spyder in Dubai or other luxury brand cars at affordable rates. Book online or over the phone and collect your rent a car or get it delivered in Dubai.